rif and I had a bite at My Toast, Gardens Mid Valley yesterday. 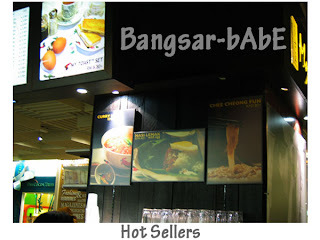 They serve the usual kopitiam fare such as kaya toast, soft boiled egg, nasi lemak and Western braekfast too. We walked by this place a few times and it was packed with patrons. Since I haven’t had lunch, I ordered the curry laksa (Kuay Teow) and Iced Ipoh White Coffee. rif wasn’t feeling hungry so he had the soft boiled eggs. 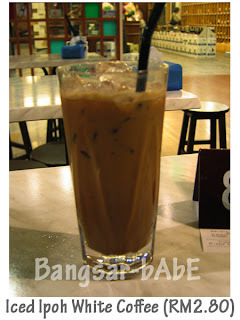 The Iced Ipoh White Coffee was quite good. The coffee was fragrant yet not overpowering and the texture was thick and creamy. 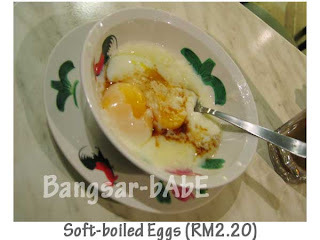 I prefer this to Ipoh Old Town’s White Coffee. 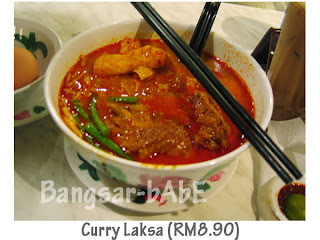 The curry laksa was quite decent. The piquant, full-bodied curry broth went well with the kuay teow noodles. They were quite generous with the tau fu pok and green beans. The sambal was too sweet, I think it’s the same sambal they use for their nasi lemak. The soft boil eggs were slightly over-cooked. rif didn’t seem to mind it, but if it were me, I wouldn’t be too pleased as I love my egg yolks to be runny. 😛 We spied quite a few people ordering the French Toast, so I figured it must be quite good. All in, tea cost RM 14.60 including 5% service charge. I wouldn’t mind coming here again. Verdict: A decent place for snacks and a good cup of coffee. i liked the coffee. it tasted different. What do you mean different? I think you like it because it’s more creamy than usual. hmmm.. maybe… or maybe they use different type of coffee beans?or different type of milk..
Aren’t all Ipoh White Coffee the same? I prefer it to be a bit sweeter though.